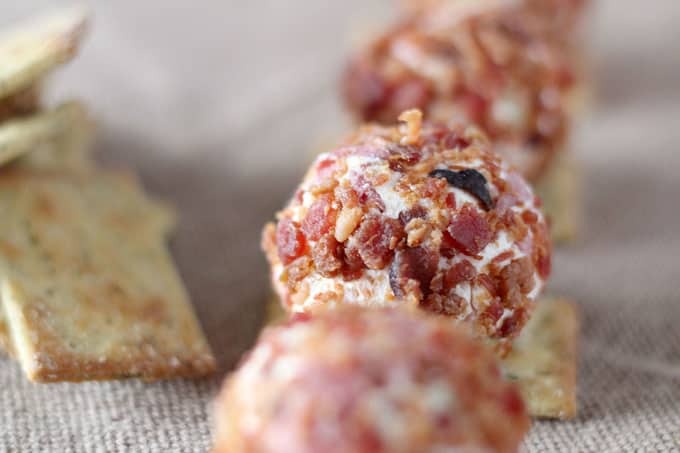 Tis the season for holiday parties, which means lots of appetizers need to be made! 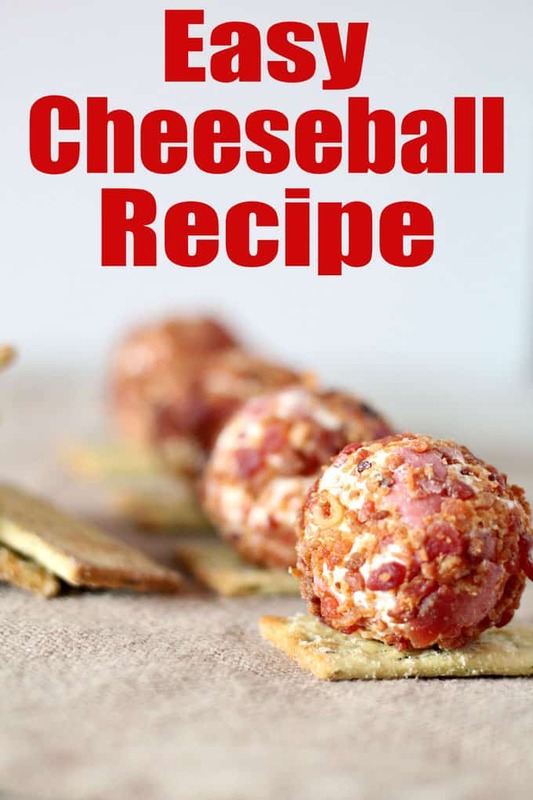 Our family calendar has been super busy with holiday events so I’ve been having fun testing new dessert and appetizer recipes to bring and this easy cheeseball recipe is definitely a winner in my book! There are no fussy ingredients and it takes hardly any time to whip it up! 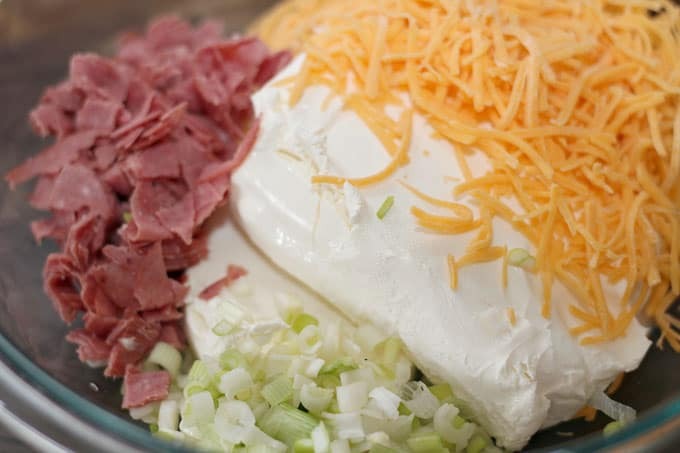 If you’ve never made a cheeseball you’ll be excited to see how simple it is. 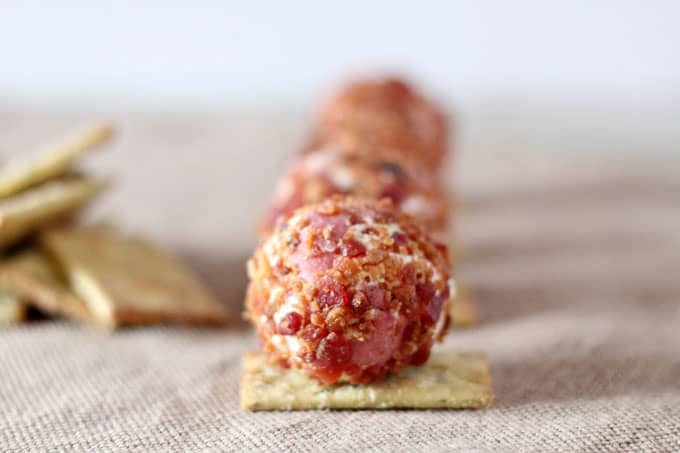 And serving this cheeseball recipe as mini cheeseballs adds a fun twist! Simple chop up the meat and onion and combine all the ingredients in a bowl. Get your hands in there (clean hands of course!) and mix it all up until its totally blended. 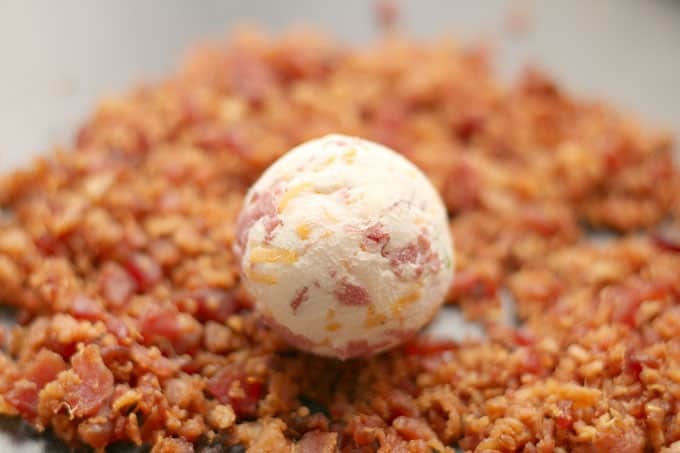 Then roll the mini cheeseballs and coat them in yummy bacon bits! See? I told you it was easy! Keep them in the fridge until ready to serve and then serve along with your favorite crackers! Party success! 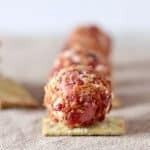 And if you don’t want to make the recipe as mini cheeseballs, you can absolutely make one big one, serving them as mini cheeseballs just gives a little more bacon to enjoy, either way, they are delicious. Could you use sliced roast beef from the deli counter rather than the processed stuff? This sounds like a fun recipe to try but I am not a huge fan of Buddig. I love this recipe. I made it as written & my other half enjoyed it. For the next one, I made a few changes since he is SUCH a fan of bacon & not a fan of green onions. I substituted bacon bits for the beef, very finely minced yellow onion for the green onions, added some freshly cracked pepper & a TBSP of minced garlic, used extra sharp cheddar & then rolled it in bacon bits. He LOVED it. So, for him, it was a total winner. 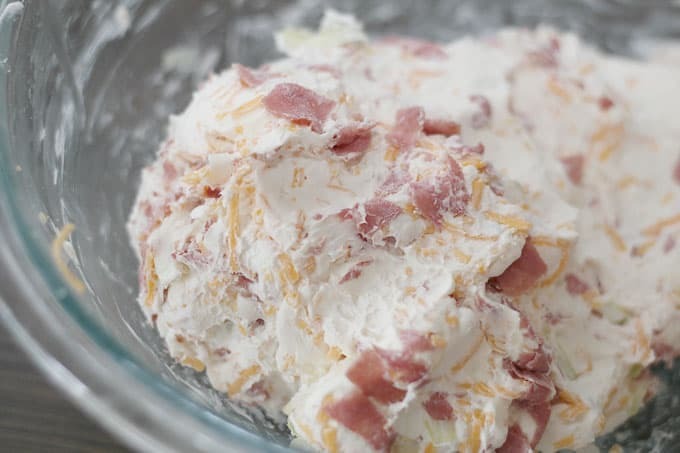 And now my mind is whirling with ideas for other kinds of cheese balls…..like a sweet one made with dried fruit, and even a pineapple one rolled in coconut flakes. Thank you for sharing this recipe. And for inspiring me to try different flavors. yum! huge hit at my party! Perfect! Huge hit at my party!